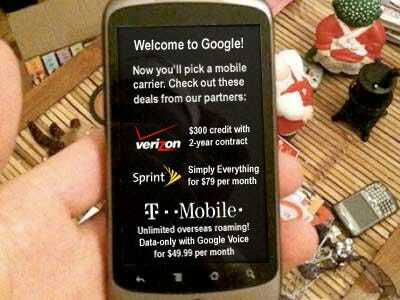 Add Sprint Nextel (S) to the list of carriers that say they will support Google’s (GOOG) Nexus One mobile phone. Assuming Verizon gets involved, as planned, all four major U.S. carriers will support the Nexus One.Sprint says it won’t sell the phone in its stores or on its Web site — you’ll still have to buy it from Google’s online phone store. This will continue to keep sales limited to early adopter-types who are aware of the phone and who don’t care about trying it out before they buy it. Still unknown: Whether Sprint will subsidise the phone. (A Sprint rep, reached for comment, wouldn’t discuss pricing.) At $529 unlocked, it’s a tougher sell than if Sprint were to subsidise the phone down to $179 — its price with a T-Mobile contract — or even cheaper.